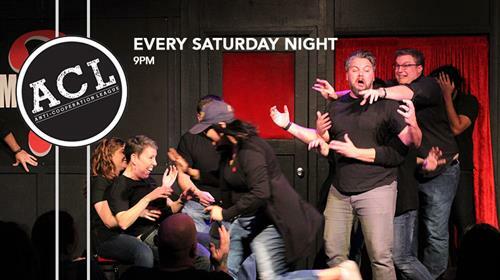 Anti-Cooperation League is Sacramento Comedy Spot's crazy, weird, high-energy, fast-paced, flagship improv show. Each week, the cast interviews a special guest and then creates scenes inspired by the interview. Guests range from Hollywood players to our friend Emily, who is just damn interesting. Join us for the longest-running comedy show in Sacramento, entertaining the masses since 2007!